Early morning boat ride took us into Turkey, and from there we went through customs (easy), caught a cab to the bus station, and bought two tickets on a (tumultuous) bus to Pamukkale. 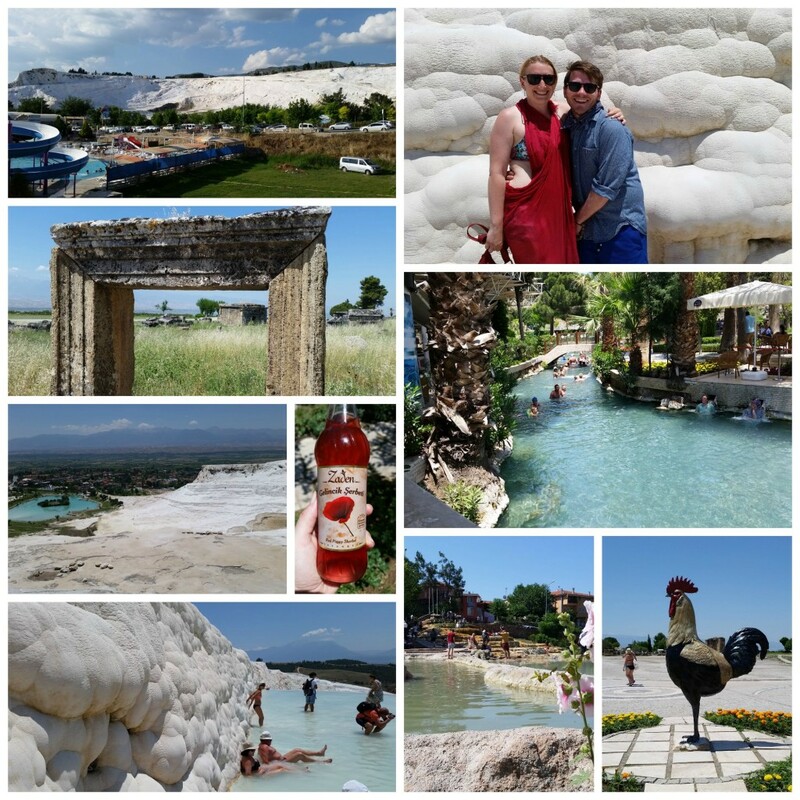 In Pamukkale we had a really nice stay and dinner at Aspawa Pension. The bus company sold us tickets for a 1 day Pamukkale tour, which gave a nice history of the ruins but otherwise was unnecessary. From the main town you can climb the hill and easily access the travertines, museum, pool, and Hierapolis, so do it on your own time: you’ll be happier and save $. Eat: lentil soup; Drink: red poppy sherbert, apple tea, any other kind of tea!, Efes beer. Despite what you’ve probably heard about turkish coffee, the drink is tea (cai, pronounced chai). Our ticket out? An overnight bus to Cappadocia. 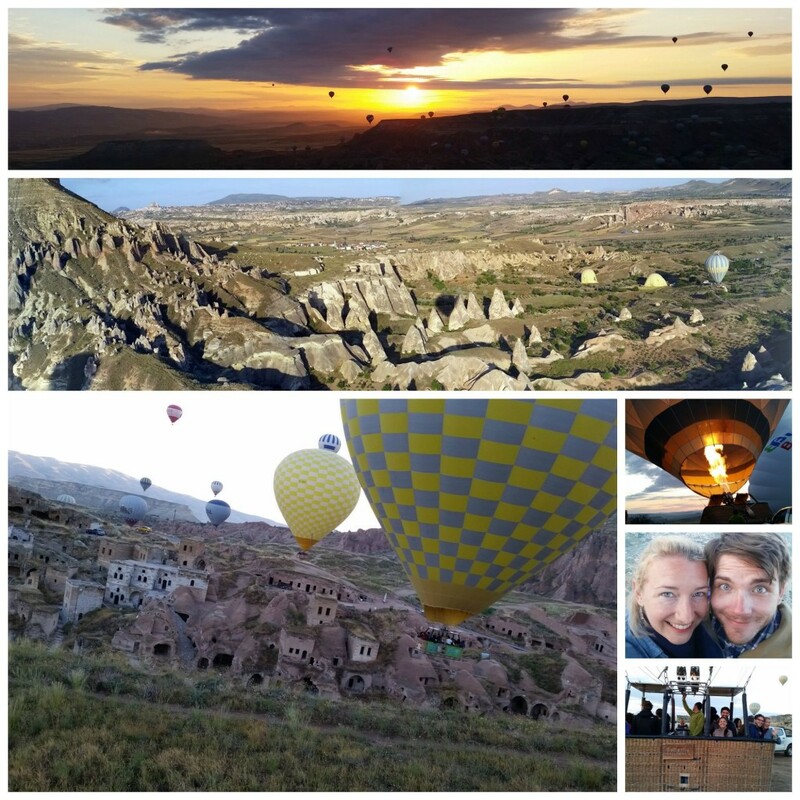 We departed Pamukkale at 8pm and arrived in Cappadocia at 8am the next morning. This was not my favorite transport (we stopped every 2 hours for bathroom break and my seat didn’t recline), but got the job done with no extra cost for accommodations. We stayed in Koza Cave Hotel, where some friends of ours had honeymooned two years earlier! They had a great stay and were upgraded to the top suite, which makes it ironic that this was one of the few places that didn’t acknowledge our honeymoon with bells and whistles. That aside, everything else was excellent, from arranging transport and tours to recommendations and dinner reservations. They even let us check in at 8am when our bus arrived. 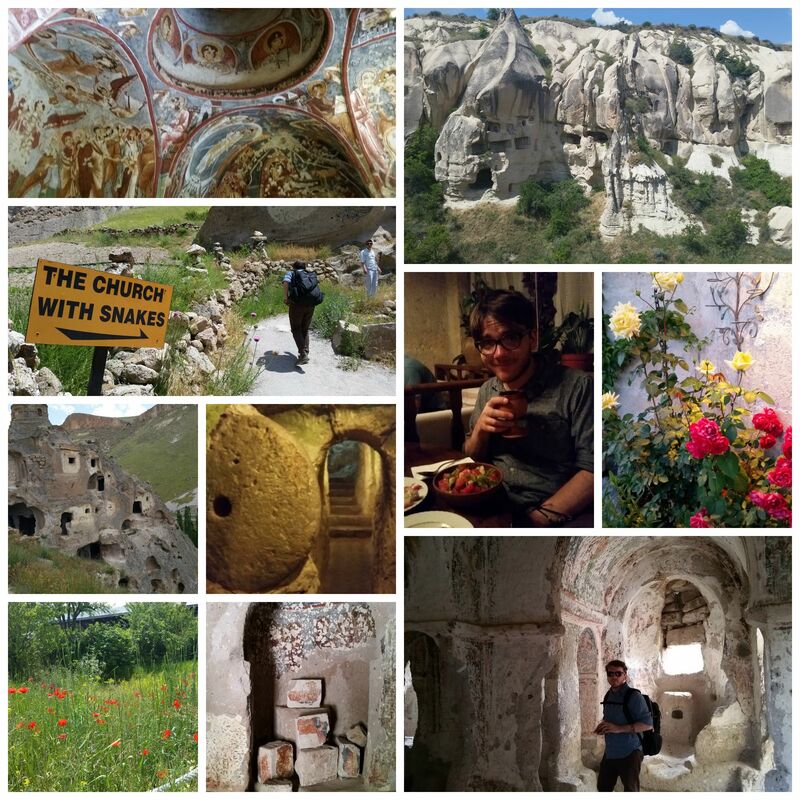 We booked the “Silent Cappadocia” tour through our hotel and wound up with a private tour! This was a highlight of the trip, along with an early morning hot air balloon ride (w/Butterfly Balloons). Best meal: Dibek traditional testi kabab.